Newly re-branded as Nordic Experience, ESTONIAN EXPERIENCE has received a TripAdvisor® Certificate of Excellence for the fifth consecutive year. Now in our 11th year, this achievement allows us to say thank you to all of our lovely guests for trusting your vacation experience in our hands. We can´t wait to welcome you again and share this magical and dynamic culture around the Baltic Sea with you. TripAdvisor® is the world’s largest travel site**, enabling travelers to plan and book the perfect trip. TripAdvisor offers advice from millions of travelers, and a wide variety of travel choices and planning features, with seamless links to booking tools that check hundreds of websites to find the best hotel prices. 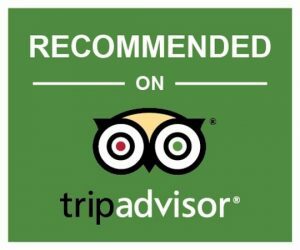 TripAdvisor-branded sites make up the largest travel community in the world, reaching 340 million unique monthly visitors***, and 350 million reviews and opinions covering 6.5 million accommodations, restaurants and attractions. The sites operate in 48 markets worldwide.